HAVE YOU CONSIDERED VISITING EI LIVE! SHOW? Could this multi-year agreement transform automotive manufacturing? elcome to the April issue of DCNN. Last month, in recognition of the World Wide Web (WWW) turning 30, our in-house tech expert Jordan O’Brien curated a 16-page timeline exploring the key events that have enabled you to become an avid reader of this digital magazine. This month, however, it appears the EU’s digital future is very much hanging in the balance and it’s all thanks to big changes coming to online copyright law. The new copyright law, including the controversial Article 13 which has been dubbed ‘the meme ban’, will hold tech firms responsible for material posted without copyright permission. This, of course, will mean being inundated with upload filters and your content having to be screened before being able to share it. of smart products from the world of electrical contracting. With recent research from GfK Global showing that the UK is the fastest-growing smart home market in Europe – estimated to be worth £900 million – the importance of smart technology, whether that be running a smart city or smart home, is unapparelled. If you have an interest in exploring what the show has to offer, want to learn and meet with industry experts, or just fancy marvelling at some tech that will take the automation and AV industry by storm, I recommend you pay a visit. Registration is free, and you can find out more about the show at eiliveshow.com or follow @eiliveshow on Twitter for all show updates and news. If you wish to contribute to May’s issue of DCNN our special feature is cloud computing and storage, we are also looking for thought-provoking opinion pieces and case studies. Please email: Jessica@allthingsmedialtd.com. SIFI NETWORKS TO BUILD USA’S LARGEST PRIVATELY FUNDED OPEN ACCESS FIBERCITY International fibre optic network developer SiFi Networks (SiFi) has announced that it will deliver what it claims to be the USA’s largest privately funded open access FiberCity in Fullerton, California. The company said Fullerton will become the biggest network of its kind in America and will be funded by the Smart City Infrastructure Fund, a global investment fund managed by Whitehelm Capital and backed by APG, a pension delivery organisation in the Netherlands. The network developer hopes to deliver more networks throughout the USA in the same manner with Fullerton being the first in line to benefit from becoming a FiberCity. KEEPING YOUR DATA SAFE WITH SMART METERS Industry experts have spoken out against claims that smart meter technology, and customer data held within it, is susceptible to hacking. Smart meters and their dedicated network for communicating with energy suppliers are in fact leading the way for data security and have been designed with GCHQ and the National Cyber Security Centre. The biggest infrastructure upgrade of our generation has been at the forefront for data security and protection from the very beginning. KEY FACTS FROM THE EXPERTS  he smart metering system is a dedicated network for T communication with your energy supplier. The network is safe and secure, having been developed with GCHQ and some of the top minds in the country. Smart meters do not use the internet and only ever store a household’s meter reading, tariff details and prepay balance. This means that no identifiable data is ever saved on your smart meter. The secure network is dedicated to transferring very basic data from your smart meter to your energy supplier. Many households won’t know that consumers own the data on their smart meter and they can decide how they want their energy supplier to process it. Consumers can save money and energy suppliers are able to offer hints and tips on energy efficiency from analysing energy usage. BICSI, a professional association supporting the information technology systems (ITS) industry, has officially announced the title of its conference this year, ‘Creating the Network Infrastructure Connecting Tomorrows World’. The conference, held on June 12 at the American Square Conference Centre in the City of London, has been designed to address new technology, approaches, practice and legislation affecting the creation of network infrastructure for datacentres, telecoms, industry and properties. The BICSI UK & Ireland annual conference promises to deliver more content and accreditation opportunities than ever before; addressing the latest issues, ideas, best practices, technology and legislation for all involved in creating and maintaining IT and network infrastructure. BICSI said its 2019 conference will not look at the industry retrospectively, but rather plan for the future. With this approach, BICSI hopes that visitors will obtain greater knowledge and insight into the challenges and developments driving change in IT network infrastructure, as well as being privy to information from industry experts at the forefront of such developments. the auction but have the opportunity to become key partners in upgrading the network infrastructure. Further disregarding Washington’s protests, German chancellor Angela Markel said that the country will define its own security standards. But it’s not just Germany that has resisted the US plea; Italy’s government also said that it will not ban Huawei from its telecommunications industry, reiterating that there is no proof of any security threat. And in the UK, intelligence officials have said that any risk posed by Huawei can be mitigated. Individual carriers such as the UK-headquartered Vodafone, expressed that a ban on Huawei would cost millions of pounds and slow the rollout of 5G. WHETHER THE 2020 OLYMPICS COULD BE A CATALYST FOR CLOUD ADOPTION IN JAPAN. H AL ON huge demand. There is certainly an appetite for digital services amongst consumers, but demand for cloud services is also on the rise for enterprise and financial services. As more consumer and business services migrate to the cloud, demands for data centre capacity and reliable internet exchanges are only set to grow. However, for a country like Japan that is traditionally self-sufficient, turning to external solutions is increasingly becoming an attractive approach. A new wave of digital innovation is reshaping Asia with Japan at the heart of it all. Digital farming, e-commerce, fintech and mobile payment have seen rapid adoption in recent years, thanks to advancement in artificial intelligence (AI), robotics and cryptography â&#x20AC;&#x201C; all of which, of course, relies heavily on data. Big data enables companies to innovate more creatively and at a much faster pace. In turn, organisations are creating high volumes of data traffic on a minute-by-minute basis. More data means greater insights, new revelations and even more exciting innovations. Itâ&#x20AC;&#x2122;s a circular process that is driving new ideas and creations every day. The type of data services required is changing because of this. The data traffic is less static than a traditional infrastructure. The conventional cloud model is no longer fit for purpose. Instead, organisations are turning to edge and hyperscale computing to achieve ultra-low latency. These agile data services are also highly scalable for any sudden peaks in demand. If you look back over the last 20 years, the Japanese economy is mostly flat or declining because of its aged population. However, we have seen an uplift in recent years as local businesses invest in digital technologies to compete with global players traditionally headquartered in the US and Europe. International companies are piling more investment into the country to attract local talents who seem to be naturally apt at digital innovations. Cloud companies are also investing in key cities. But with more global businesses and cloud service providers expanding into Japan, it presents a supply versus demand challenge. Data centres in Japan are mostly aged infrastructures that have been wellmaintained but lack significant upgrades. They are designed to serve small, local (largely retail) customers, and not built to scale for the larger global cloud service providers like AWS, Alibaba, Google and Baidu, to name a few. “AS MORE CONSUMER AND BUSINESS SERVICES MIGRATE TO THE CLOUD, DEMANDS FOR DATA CENTRE CAPACITY AND RELIABLE INTERNET EXCHANGES THE BIG CLOUD BOOST Before we rush into building bigger data centres, it’s important we understand the cloud consumption landscape and how customers are expected to use it. In other words, knowing what kind of traffic will be computed in the cloud will help us understand what level of data centres services are fit for purpose. With Japan booming as a hub for digital innovation, it becomes evident that advancement in AI, machine learning, and algorithmic decision-making are dictating a lot of the data traffic. Video-streaming and social media network traffic are only a proportion of the overall cloud usage. Mobile payment is also creating new demands for edge computing with reliable and fast connectivity. In fact, most of Japan use mobile payment as their first choice of transaction as the country swiftly moves towards becoming a cashless society. This trend also brings with it the critical need for secure and reliable data processing – calling for business and service providers that demonstrate high tenacity and assurance in handling personal data. It is clear that there is a high consumer appetite, but the real power users are enterprise companies that are moving their computing and data assets to the cloud. With SAP, Oracle and Microsoft moving away from licensing model to cloud-based software platform services, data traffic is ramping up thick and fast. The more complex the systems, the more data and content it generates, therefore the higher the data density and storage capacity. CONNECTING BEYOND FROM MAJOR ISSUES DOMINATING THE INDUSTRY TO SUPER-HUMAN POWERS, DCNN TALKS TO JASON WELLS, VP AND GM EMEA AT CRADLEPOINT. What were you doing before you joined Cradlepoint and how did you first get involved in the industry? I have been immersed in the IT/network security industry since I stumbled into it in 1999. Prior to joining Cradlepoint I was VP and General Manager for EMEA & APAC at Aryaka Networks, a global SD-WANas-a-Service industry leader. I have not always been in the industry, however, and in my earlier career you would have found me selling ‘holiday ownership’ properties in Spain – this followed on from being a resort representative for Club 18-30 and a Butlins Red Coat in the early 1990’s. Which major issues do you see dominating the data/comms industry over the next 12 months? The wireless internet and the opportunities and cost-savings available to businesses willing to embrace ‘the cutting of the cord’ as they start their pathway to 5G. Looking back on your career so far, is there anything you might have done differently? I would have taken more time to address my work/life balance as I have missed too much of my children growing-up. What is the toughest lesson you have ever been taught in your career? The purchase order you were promised to make your quarter isn’t a reality until its physically in your hand or inbox. People promise these things with every good intention but often other influences beyond their control can hinder them delivering on them. What part of your job do you find the most challenging? Switching off and taking some personal time out, I seem to be almost always working. What gives you the greatest sense of achievement? Seeing my team fulfil their potential, crush their goals and over-achieve. What are the biggest pressures involved in your job? There are many, namely over-achieving against ever-expanding quota numbers, juggling different personalities within my team and managing our partner/customer environment. Nevertheless, if I had to pinpoint the most significant pressure it would be time – there is never enough of it. If you could possess one super-human power, what would it be and why? Teleportation. It would mean the ability to fulfil my global travel commitments without the hundreds of wasted plane hours, which could instead be used enjoying my children. What are your company’s aims for the next 12 months? In the foreseeable future, Cradlepoint aims to expand comprehensively into Europe. A DARK DAY FOR INTERNET FREEDOM THIS MONTH, INSTEAD OF LOOKING AT HOW AI HAS GONE AWRY, DCNN IS GETTING TO GRIPS WITH ARTICLE 13 AND HOW THE EU’S COPYRIGHT DIRECTIVE WILL CHANGE THE WEB AS WE KNOW IT. what exactly does this divisive law mean for those living in the EU and what impact will it have on freedom of expression? The new copyright law, including the most controversial segment Article 13 – dubbed ‘the meme ban’ – will hold tech firms such as YouTube, Facebook and Twitter responsible for material posted without copyright permission. On April 15, 2019, despite high-profile campaigns which included the web inventor himself, the copyright directive (passed by the European Parliament in March) was adopted into EU law. Individual member states, will have two years to turn these new rules into their own national law. The new directive is supposed help direct more revenue to content creators – musicians and journalists – as opposed to the platforms that host and share the content. WHAT IS ARTICLE 13? Article 13 stipulates that online platforms will need to filter or remove copyrighted materials from their platforms. As we are aware from previous AI Gone awry columns, filters and algorithms can be fickle things, and it’s yet to be agreed on how platforms are expected to identify and remove copyrighted content. Earlier versions of the directive suggested using ‘proportionate content recognition technologies’, but that would mean asking platform owners to use automated filters to scan every piece of uploaded content – a task that, without an expendable cash flow, may not be feasible. Although such filters already exist, with the most preeminent being YouTube’s Content ID, they are largely unpopular and being rolled out on such scale – from music forums to niche social networks – there is no guarantee they will be able to distinguish between copyrighted materials and material that is exempt.  he site has been available for fewer T than three years The site has an annual turnover below €10 million The site has fewer than five million unique monthly visitors. Understandably it was Article 13 which prompted fears over the future of memes and GIFs, as they are often based on copyrighted images from film and TV. Rest assured, however, this fear can be somewhat quashed with specific tweaks to the law stating that copyrighted material used ‘for purposes of quotation, criticism, review, caricature, parody and pastiche,’ is exempt. The European Parliament have since commented that memes would be ‘specifically excluded’ from the directive, though it remains unclear how tech firms will be able to enforce this using a blanket filter. So, what’s all the fuss about if memes and GIFs are supposedly safe? Well, Google claims that the new directive will harm Europe’s creative and digital industries, and they are not alone in thinking so… Sir Tim Berners-Lee has also warned about the possible consequences of copyright changes and even took to Twitter to voice his opinions. You can follow updates and find out more on EU’s copyright directive on the DCNN website. THE IMPOR OF FIBRE C JAY TOURIGNY, SENIOR VICE PRESIDENT AT MICROCARE EXPLAINS WHY, AS THE DEMAND FOR GREATER CONNECTIVITY CONTINUES TO SURGE, IT’S IMPERATIVE TO UNDERSTAND HOW FIBRE CLEANING IS A CRITICAL FACTOR TO A NETWORK’S PERFORMANCE. fibre network is properly installed and maintained. This includes ensuring that all connections and splices are kept perfectly clean to avoid potential problems such as insertion loss (weakened signal), backreflection (signal is diverted back to its source) or a complete system shut down. Despite the importance of cleanliness, there is still reluctance by some within the fibre industry to recognise that thorough fibre cleaning is critical to a network’s performance. This article focuses on the top reasons why cleaning can be underestimated by some, and why this mindset should change. BASIC TOOLS REQUIRED FOR EFFECTIVE AND RELIABLE CLEANING F  abric wipes: These are an essential tool for successful cleaning. Cleaning with ordinary wipes, tissues or clothing will deposit even more contaminants to the end faces and spread them around. Instead, opt for a clean, optical grade fabric wipe engineered for cleaning fibre. Highly absorbent, they effectively wick the contamination away while not generating lint. They are also effective when used with a staticdissipative cleaning fluid, for ‘wet/dry’ cleaning to help eliminate static during cleaning. Remember to use just one wipe per end face and never reuse wipes to avoid the risk of cross-contamination. O  ptical grade cleaning fluid: Fibre industry organisations recommend ‘wet/dry’ cleaning as the most effective method for cleaning fibre end faces. Water and Isopropyl Alcohol (IPA) are traditional choices, but are hard to buy in high purity packaging and difficult to keep clean and uncontaminated during day-to-day operations. Instead, specify a pure optical grade cleaning fluid for best success. Optical grade cleaning fluids are fast-drying, static dissipative and sold in hermetically sealed packaging. Fast drying time is especially important for cleaning fibre since it speeds cleaning time and keeps moisture from being attracted to the fluid, minimising contamination. A static-dissipative fluid also helps deflect impurities, especially dust from the surface being cleaned. In addition, optical grade cleaning fluids are non-flammable, making them safer to store and non-hazardous for transport in service vehicles. Fabric-tipped cleaning sticks: Cleaning sticks are typically used to clean bulkhead connectors. Choose a stick with a tip soft enough to not to scratch the ceramic or composite ferrule end face. When working with cleaning sticks, first moisten the cleaning tip with a small amount of optical grade cleaning fluid, rotate the stick in only one direction to avoid cross-contamination and remember to only use one stick per end face. Reliable, trouble-free fibre optic networks are the key to an interconnected future. Cleaning is more than important, it is critical to the long-term reliability of any network. One of the biggest threats to fibre signals today is contamination to end faces. By using proven tools and procedures, network technicians can clean fibre connections, quickly, affordably and effectively. When choosing cleaning fluids, tools and methods, seek the help of an experienced supplier that specialises in fibre cleaning to advise you on which tools and methods will work best for you. IS THE FIBRE ALREADY CLEAN When it comes to installing or maintaining fibre networks, there is always the need to clean. A major threat to an efficient and reliable fibre optic network is contamination of the optical interconnects. They are vulnerable to micro contaminants that can wreak havoc on optical signals. To ensure system performance and reliability, the contaminants must be removed from both sides of each end face every time a fibre is installed, tested or reconfigured. Dust particles are one of the most common contaminants and can originate from many sources, including dead skin, plant pollen, cardboard boxes and clothing lint. Although just microns in size, they cause scratches and pitting on the end faces resulting in insertion loss. Another typical contaminant is fingerprint oils. These contain salts that can create air gaps between the end faces and can potentially cause back-reflection, signal attenuation or even a complete system shut down. Even brand-new fibre needs to be cleaned and tested to ensure any contamination is removed. Jumpers and patch cords, even those direct from the factory, do not guarantee cleanliness. Outgassed plasticizers or even plastic particles from the protective dust caps themselves can leave contamination behind. HOW LONG DOES CLEANING TAKE AND AT WHAT EXPENSE? With the growing number of fibre optic networks, many technicians are feeling pressure to work as quickly as possible. Combine that with the fact that many are compensated based on the number of installations they can complete for the day, and the temptation to cut corners when cleaning can be high. However, it only takes a matter of seconds to clean and inspect a fibre end face. With the right tools and training, cleaning and inspecting a cable end face can take as little as 30 seconds. The minutes spent cleaning and inspecting fibre end faces will far outweigh the hours spent if the technician has to return to troubleshoot, identify, repair and clean faulty splices and connectors. In addition, cleaning labour costs are typically lower than repair costs. It takes only pennies to clean, but a repair call could potentially cost hundreds of pounds when a connection fails. ‘CODIFY KNOWLEDGE’ AND THE BENEFITS IT CAN BRING. retail, professional services and healthcare are turning to systems that help capture this knowledge – which may include institutional history, complex processes, critical contacts both inside and outside of the organisation, and more. Enterprises are undergoing a golden age of automation. Software systems can perform tasks with a level of efficiency and sophistication that was once only possible with human input. However, humans are still the epicentre of knowledge and judgement, with the flexibility to adapt based on circumstance, a skill that software has yet to truly emulate. 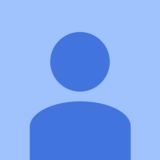 For many organisations, the simplest form of knowledge capture is a record in a database, often from a form that allows information to be gathered and structured to become the basis of a workflow. However, internal forms are often overlooked, especially within technically specific situations. Building out a rack within a data centre is one example; equipment specifications may change, but an engineer who has completed the task many times will use tricks of the trade that streamline the outcome. But complex tasks require multiple stakeholders, and this is where people – and their different ways of working – can become inhibitors. Complexity increases when regulatory, health and safety frameworks come in to play. What is considered compliant in the UK may not be elsewhere, and mistakes happen when codifying a process without taking geography into account. Join us online at Terms & conditions apply and are subject to change. * Membership eligibility and the stated 25% discount on initial 12 months membership of ECA is subject to continued registration of qualifying schemes through accepted certification bodies or organisations. All rights reserved. Registered in England: Company Number 143669. Covering England, Wales & NI. www.eca.co.uk/journey Shaping our industry. Enabling business growth. Getting you specified. Isle of Wight stand out dramatically and for example, be highly attractive to those progressive businesses requiring that kind of competitive edge. In turn, it promises to valuably boost the island’s economy,” says John Irvine, CEO of WightFibre Limited. To finance the initiative, in November 2017 WightFibre was awarded £35 million investment from Infracapital Partners and gained the very first grant given by the UK government’s new Digital Infrastructure Investment Fund. Crucially, the project would have cost more if the company had not been smart about modifying and re-using its existing infrastructure of 18-year-old street cabinets, or ‘sweating its assets’. It is doing this with the help of Hampshire-based manufacturing and contract services company, ICEE Managed Services. That initiative has resulted in big money savings, making the project more affordable, profitable and lean, and minimising waste. Currently, the company serves 25% of the island’s population with 152Mb-rate broadband, including TV and telephone services. Supported by more than 27 cabinets throughout the county (painted white as a play on the company’s name), the existing infrastructure was installed in 2001 by an enterprise that evolved into today’s WightFibre. Measuring some 380 square kilometres, the Isle of Wight is mostly agricultural with several large towns located around the coast, such as Ryde, Cowes, Sandown and Bembridge, and inland, Newport. The existing co-axial cable network mainly serves these urban and suburban centres, with steel cabinets squeezed onto pavements of often narrow streets. another few thousand pounds for new foundations and so forth.” He adds, to minimise disruption to customers and speed transfer, a new cabinet would have to be placed right next to an old one, making it easier and faster to transfer the service from old to new. Making the change-over, starting with the time required to install a new cabinet, would take several days. In many cases it would be hard to find spare space on pavements. What’s more, if the idea to install a new cabinet alongside the old (where possible), then transfer what could be re-used and install new equipment was adopted, a lengthy planning process would be required, plus the gaining of consent from all relevant authorities for days of disruption on the street. It would add more time and cost. That option made no business or practical sense to WightFibre. In principle, it would be far quicker and less costly if existing cabinets could be converted by modifying internal space and replacing or adding what was necessary. That physical process would take a few hours at most, not several days and obviously the cost savings would be substantial. The bottom line was, if cabinets could be converted and re-used, significant savings up to £100,000 would be possible, lessening the pressure on funding. To check if the re-use approach was viable, WightFibre consulted ICEE and the preferred fibre cable supplier, Hexatronic. The changes called for replacement or re-organising of existing equipment and insertion of new devices, the latter being bulky assemblies including power supplies, rectifiers, batteries and distribution panels. This was complicated by two other issues – accommodating the bundled mass of up to 1,700 fibre optic cables within cabinets, plus the fitting of fans to cool the new, hotterrunning power supply units. Fibre optic cable also brings its own special demands. For a start, bending each one to allow for routing in and out of a cabinet, or connecting up to internal equipment, is not the same as for coaxial copper cables. Copper can be bent through a tight right-angle. Fibre optic requires bigger radii and hence different routing requirements. Then there was the question of how to fit large fans, including the cutting of two ventilation apertures – one to bring outside air into the cabinets and another to expel hot air and prevent excessive heat build-up affecting equipment inside. Initial design, development and test revealed a further complication – the fans plus new air flows generated noise. In an urban setting with houses close by, decibels had to be suppressed. This was done by ICEE raising the original height of the cabinet roof to accommodate the fitting of sound-absorbing fibre panels beneath. Working on cabinets it had not originally made, the contractor designed and manufactured replacement metalwork. Like the fabric of an old house changed many times over decades to suit new requirements, the cabinets are being affordably upgraded to modern standards. NEW ! 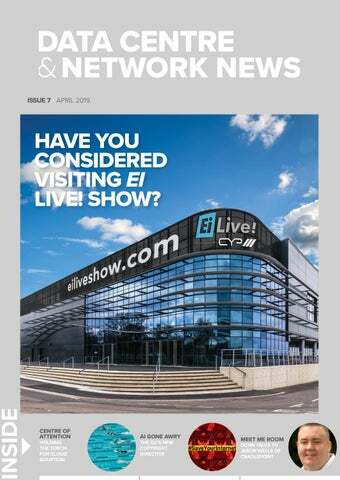 S E I T I L I POSSIB One all-encompassing AV, entertainment and automation show, EI Live! will challenge industry norms, push the boundaries, and launch a platform on which a smarter, brighter future can be established. success. London, for example, is the fifth wealthiest city in the world with a GDP of $731.2 billion, making its GDP greater than countries like Argentina, Poland, Sweden and Belgium. On the other hand, continuous growth puts strain on infrastructure such as power distribution, sewage, water systems, transport, education, policing and welfare. Fast flows of data underpin all of these basic needs in addition to increased streaming of rich graphical and video content, making resilience a number one priority for municipalities and businesses alike. Therefore, it can be argued that the real heart of the city is the infrastructure and, more specifically, the IT that powers it. According to Hitachi, the ability to make cities productive and successful lies in making them as smart as possible and that technology-enabled living will be crucial to success and improved quality of life in the age of urban living. THE SMART CITY AND THE NETWORK THAT SUPPORTS IT What unites smart cities is that they thrive, or otherwise, on shared public systems and services, and governments and businesses alike want to leverage this urban interconnection and the data it produces. The ultimate goal is for cities to use data to bring intelligence to urban environments, and to improve the quality of life for residents. We see smart cities learning from each other as they move to embrace the newer and smarter technologies. Viewed this way, London has more in common with cities like Shanghai than its closer European counterparts, as it struggles with the challenges that come with very high population density. And so, we see London moving towards Shanghai-style smart transport systems to alleviate congestion; hoping that innovations in autonomous vehicles, data, AI, electric vehicles and shared mobility will help solve its transportation issues. The need for resilience is felt particularly hard with these types of smart city applications. Physically linking dispersed machines and sensors so they can exchange information in real time is crucial. If cities are to tap into the potential value of ‘big data’, interconnections between people, applications, data, content, clouds and the network needs to be seamless. Whilst the benefits of the smart city are extensive, they will only be realised when digital infrastructures can physically link dispersed machines and sensors so they can exchange information in real time. POLE POSITION COULD THE UK, IF THE BREXIT ROADBLOCK IS REMOVED, MAINTAIN A POLE POSITION IN THE £62 BILLION SELF-DRIVING CAR RACE? DCNN EXPLORES THE NEW REPORT BY SMMT AND FROST & SULLIVAN. he UK is in pole position in the global race to market for connected and autonomous vehicles (CAVs), with a £62 billion boost to the UK economy by 2030 up for grabs, according to a new report published by the Society of Motor Manufacturers and Traders (SMMT) and Frost & Sullivan. The report titled: Connected and Autonomous Vehicles: Winning the Global Race to Market, analyses the wide-ranging societal and economic benefits to be achieved by gradually increasing CAVs on our roads. TAKING TESTING TO TRIAL The report identifies that the UK is in a strong position to capitalise, with more than £500 million already committed by industry and government to CAV R&D and testing. Autonomous driving trials are taking place across many major towns and cities in the UK, which also homes four major CAV test beds and three additional sites focused on highways, rural and parking, with more than 80 collaborative R&D projects underway. But the next game-changing step is to actually move from testing CAV technologies to deploying them in the real world. CRITICAL AREAS FOR CAV ROLLOUT The report pinpoints three critical areas that will help CAV rollout and in which the UK has a significant advantage: supportive regulation, enabling infrastructure and an attractive market. With the world’s first insurance legislation for autonomous vehicles already in place, the most comprehensive review of road transport underway and more miles across motorways, urban and rural roads able to be driven autonomously, the UK is already ahead of global rivals in its readiness to commercialise self-driving technology. The report ranks the UK above other major automotive countries, including Germany, US, Japan and South Korea as a global destination for the mass rollout of CAVs. IoT Greengrass, AWS IoT Core, AWS IoT Analytics, and AWS IoT SiteWise, to detect, collect, organise, and run sophisticated analytics on data from the plant floor. The subsidiary of Amazon will provide its IoT services to deliver new insights into manufacturing operations across the facilities, these such services aim to optimise production and improve process efficiencies. With a company-wide data lake built on Amazon Simple Storage Service (Amazon S3) to analyse the data, Volkswagen will glean insights that pinpoint operational trends, improve forecasting, and streamline operations by identifying gaps in production and waste. Volkswagen will also utilise Amazon SageMaker, a fullymanaged service that provides developers and data scientists with the ability to build, train, and deploy machine learning models quickly, to optimise the operation of machinery and equipment in all of its plants. in Japan, adding to the existing Inzai campus just east of Tokyo, which already houses two other hyperscale facilities. The Osaka data centre will also provide customers access to highlyskilled, bilingual in-house staff to manage its facilities and support customers, a key solution that sets Colt DCS apart from other providers in the region. The site acquisition comes in direct response to the surge in cloud service providers in Japan that have resulted in a growing demand for data centre providers and carrier neutral network access in the region. “Having already built data centre facilities in the country, we understand the specific needs of this growing market,” said Richard Wellbrock, Vice President Real Estate, Colt Data Centre Services. ECOSTRUXURE IT ADVISOR’S KEY FEATURES AND BENEFITS: Asset management for accurate inventory – data is shown within the physical layout for instant access to accurate device details and asset attributes. Risk planning for proactive incident management – the impact analysis report indicates how incidents may impact devices and infrastructure. The new range of Fieldbus modules with IO-Link from ifm electronic has been designed to facilitate the inevitable drive toward increasingly sophisticated automation and IT. The company says these robust, decentralised modules are industry 4.0 ready and enable connectivity of sensors to PLCs via the fieldbus and securely to the IT infrastructure via a separate IoT port. According to ifm electronic these modules serve as a gateway between intelligent IO-Link sensors and the fieldbus, as well as allowing important information from intelligent sensors to be sent simultaneously into the IT world. With a separate IoT Ethernet socket, the IT network can be set-up completely separate from the automation network. Sensor information is transferred into the IT world via the established TCP/IP JSON interface. Among the key advantages and benefits to end-users is the separation between automation systems and the IT network. NEXT TIME… AS WELL AS ITS REGULAR RANGE OF FEATURES AND NEWS ITEMS, THE NEXT ISSUE OF DATA CENTRE & NETWORK NEWS WILL CONTAIN MAJOR FEATURES ON CLOUD COMPUTING AND STORAGE. To make sure you don’t miss the opportunity to advertise your products to this exclusive readership, call Ian on 01634 673163 or email Ian@allthingsmedialtd.com. Have your free edition delivered straight to your inbox each month.